Budgets. Not always the most welcome word when planning a vacation. But just because your funds may be limited, doesn’t mean your fun has to be! The greater Hershey-Harrisburg area offers an abundance of activities at a price everyone can afford. Here are some picks for free! See St. Peter’s Basilica and the Paris Opera House – without leaving Pennsylvania! 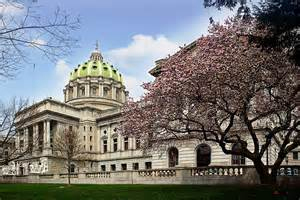 Both inspired Harrisburg’s opulent Capitol Complex. Tours are held year ’round, Monday through Friday, 8:30 am – 4:00 pm every half hour and Saturday, Sunday, and most holidays 9:00, 11:00, 1:00 & 3:00 pm. 800-868-7672. Compared to the Carlisle Barracks, Harrisburg’s Capitol Complex barely scratches the surface of history. Chosen by George Washington in 1757 to house the country’s first arsenal, it’s now the nation’s second oldest active military post. 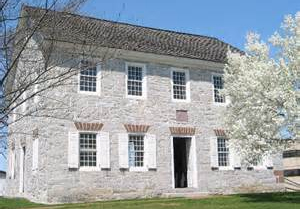 Tour the 1777 Hessian Guard House (Memorial Day – Labor Day), the Omar N. Bradley Museum (year ’round) and the grounds of the Carlisle Barracks. 717-245-3434. The two-block stretch of Harrisburg’s Riverfront Park from Emerald Street to Maclay Street is a sanctuary dedicated to the pursuit of peace and the preservation of the Earth. 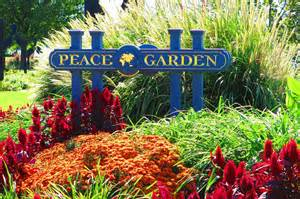 Known as the Peace Garden, it features bronze plaques with quotes about peace by renowned statesmen and other dignitaries. Three wrought-iron sculptures by Dr. Frederick Franck are also there. 717-255-3020. You don’t have to be an athlete to take on this hike — just have an appreciation for stunning views. Check out Peter’s Mountain, north of Harrisburg, near Rt. 147. Twelve miles of the Appalachian Trail await. 717-486-8126. Another northern Dauphin County hike, Stony Creek, is especially beautiful during the fall. But the advantage of hiking in the summer is you can soak your feet (or more) in the cool, rushing waters of Stony Creek. Next, indulge in sweet temptation. Head for something that makes everyone happy — Chocolate! 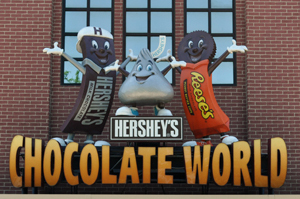 Tour HERSHEY’S Chocolate World and learn how the company makes its world-famous speciality. 1-800-HERSHEY. 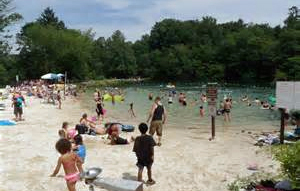 While they call it the “Children’s Lake,” visitors of all ages will also enjoy sharing a rest with the ducks calling the Boiling Springs Lake home. Fishermen know it’s a treat as well, rich with trout. Call 717-657-4518 for licensing information. While we recommend fishing the nearby Yellow Breeches as well, if you don’t want to spring for a license, you can still enjoy the Breeches — check out tubing! There’s no arguing with those who feel it’s the only way to beat the summer heat. 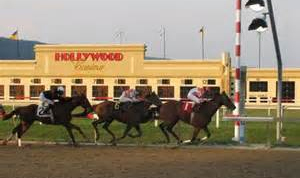 Thrill to the excitement of thoroughbred and harness racing every Monday through Saturday afternoon at Hollywood Casino at Penn National Race Course. Fans enjoy full card simulcasts from across the country in the comfortable surroundings of the fourth floor clubhouse. Free admission and parking for afternoon simulcast cards. Call 717-469-2211 for race track schedules. After you dry off from tubing take in a few other nearby freebies at Dickinson College. The Trout Gallery features nearly 3,000 works of art from antiquities to 20th century pieces. 717-245-1344. While on campus, enjoy Dickinson College’s history — its buildings witnessed everything from Revolutionary War days to Civil War shelling to the Victorian Era. Stop in at the college bookstore (Holland-Union Building) for a map and the chance to learn in what building George Washington worshiped. 717-245-1289. The State Museum also features changing art exhibits; visitors to the area should additionally take advantage of Harrisburg’s rich supply of art galleries. 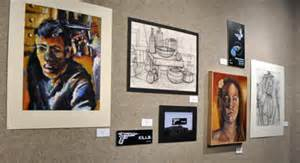 Start with the Art Association’s gallery at 1 N. Front St. (717-236-1432). Second and Third streets in Harrisburg also feature a number of galleries. A little bit off the beaten path from center city Harrisburg, but well worth the trip are the galleries at the Rose Lehrman Arts Center, Harrisburg Area Community College. Also see numerous free performances including dance, theater, and music. Open September-May. 800-222-4222. If gallery-hopping doesn’t appeal to the youngsters in your group, we have something guaranteed to put a smile on their faces and not a dent in your wallet. Cocoa Castle — a playground like no other — on Cocoa Avenue in Hershey. Dragon slides, a haunted pirate ship and a HERSHEY’S KISSES Hut (of course) await. Nearby, the Milton S. Hershey school opens its Founder’s Hall to visitors. Watch a 22-minute video about the man who built the world’s largest chocolate manufacturing business and one of history’s most successful (and sweetest) company towns. 717-534-3546. Enjoy your stay in Hershey, but get back to Harrisburg in time for a few special events — all free. The city finds most any excuse to throw a party — spring, summer and fall. Harrisburg’s three Riverfront Festivals — Memorial Day weekend, Fourth of July weekend and Labor Day weekend — feature non-stop free musical entertainment, arts and craft displays, the excitement of canoe, kayaking and drag boat racing, a chili cook-off and more. 717-255-3020. Not to ignore a season, Harrisburg also throws a free party or two in the winter. Join us for a Holiday Parade to kick off the merriest season. And then come back for New Year’s Eve as we celebrate in the square with children’s entertainment. free concerts and a fireworks display to get your new year off to a real bang. 717-255-3020. Harrisburg’s special events often spill over to the city’s “Island of Activity” — City Island, reached via the Walnut Street foot bridge or by driving across the Market Street Bridge. Walk the nature trail; have your kids test out the Harbourtown Playground or simply enjoy the riverfront view from this family playground. 717-461-3223. While soaking in that view, you’ll be looking directly at Harrisburg’s 4.5 mile Riverfront Park — home to walkers, joggers, bikers, picnicking families and those who simply want to soak in the sparkling waters of the Susquehanna River. Nothing says winter, though, like strapping on a pair of ice skates. So head to Memorial Lake State Park near Grantville. While open year-round, the lake is particularly inviting to ice skaters and the trails to cross country skiers. 717-865-6470. Not to be outdone in the ice-skating and boating category, check out Mt. Holly Spring’s Laurel and Fuller Lakes, part of the Pine Grove Furnace State Park. 717-486-7174. Equally inviting is Cumberland County’s King’s Gap State Park, offering a tempting 1,443 acres to hikers plus an environmental education center. 717-486-5031. Free entertainment is also a catch phrase in Hershey, where during the summer months visitors come upon an eclectic mix of amusements in the town square’s park and gazebo — invited guests from nearby ZOOAMERICA mix with home-town bands on the entertainment schedule. 717-534-3408. 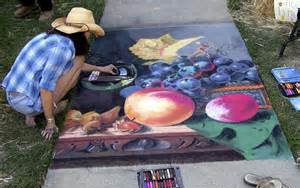 Children tend to marvel at it and adults tend to marvel at how it intrigues children! 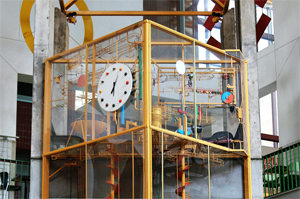 It’s Strawberry Square’s three-story clanging, clinging, ball-dropping, kinetic clock. Its playful whimsy is pure enchantment. And it tells time to boot! Harrisburg’s center city shopping complex also attracts crowds with a regular schedule of free entertainment in its atrium. 717-236-5061. The largest one-day street-fair on the East Coast takes place here — in Cumberland County’s Mechanicsburg. Admission to Jubilee Day is free and so is the fair’s non-stop entertainment. 717-691-3310. Sway to the beat of reggae, soak in sounds of jazz or country’s latest hits. Harrisburg’s free summer music festivals at Reservoir Park offer great musical entertainment, as well as an excuse to walk the grounds of a city park recently receiving $1.6 million worth of improvements. 717-255-3020. The view of center city Harrisburg from Reservoir Park can’t be matched. But for a closer look, take a walking tour of the city’s impressive mansions and restored townhouses. 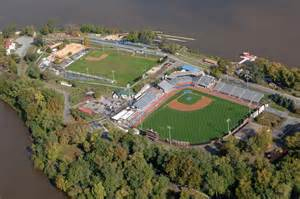 Front Street parallels the Susquehanna’s Riverfront Park and architecturally makes the city proud. Shipoke is nestled at the very beginning of Front Street and tends to remind visitors of narrow, European style streets with detail and historic accuracy evident in its restorations. Visit the City Government Center, One Market Square, for a brochure. 717-255-3040. Follow the Pennsylvania trail of history to a delightful old country church built for German farmers in the Cumberland valley. The Peace Church, on Trindle Road near Camp Hill, is open for self-guided tours on Sundays from May to August, 2:00 – 5:00 pm. 717-737-6492. Hike along the famous Appalachian Trail. A section of this 2,174 mile long trail passes just north and west of Harrisburg on its route from Maine to Georgia.